This post was originally published on the UK Constitutional Law Group Blog and is reposted here with thanks. 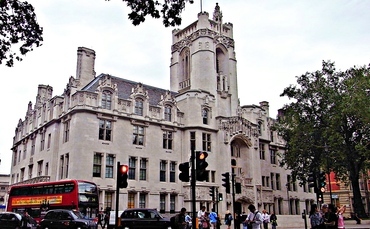 The United Kingdom Supreme Court (UKSC) is something of a novel institution among apex courts. It is not a typical supreme court with strong powers of constitutional review, but it has powers to determine the legality of administrative and executive acts and to review statutes on human rights and European Union law grounds. It cannot be conceived as the ‘ultimate guardian of the constitution’, but it clearly discharges a range of constitutional functions which are in many ways approximate to those carried out by top courts elsewhere. It is not a federal court, but has power to determine competence disputes between the Westminster Parliament and devolved legislatures and administrations. It is not an agent of the legislature, though its work is conditioned by the doctrine of parliamentary sovereignty. It undertakes no constitutionally-prescribed checking function, though it can be seen to play a ‘counter-majoritarian’ (at paras 209-211) role in holding government to account. It is not a political institution, though it clearly makes decisions that are politically controversial. As a result, the UKSC neither clearly fits, nor completely eschews, the institutional precedents of other national apex courts. Some explanation for this can be found in the fact that it was never an objective of the Labour government to engage (in this area at least) in radical constitutional redesign. The transition from Appellate Committee of the House of Lords to Supreme Court displays much of the continuity and incrementalism that is characteristic of constitutional change in the United Kingdom; neither the jurisdiction nor composition of the UKSC, for instance, depart radically from those of the House of Lords. At the same time however, as a result of the of the UK’s traditional apathy towards separation of powers as a template of institutional design, the severing of structural links between the legislature and top court was a marked development, and the most visible aspect of the Constitutional Reform Act’s new regime. The creation of a formal apex court, autonomous of the elected branches of government, is also a milestone in the formalisation of the judicial branch and its functions and a manifestation of the ongoing shift in the balance of power, away from politicians towards the judges, which has implications for all constitutional institutions. Any attempt to characterise the UKSC has to take account of the past: the judicial House of Lords was subordinated to Parliament, and did not play a leading role in the interpretation of constitutional law and politics. Any new conception also has to take account of the present: the incremental accrual of functions relating to EU Law, individual rights and devolution – alongside the burgeoning constitutional function of the common law – have begun to cement the place of the UKSC as a constitutional actor in its own right. Lord Hope has spoken of the ‘added authority’ carried by decisions handed down by a Supreme Court independent of Parliament. In terms of powers, Lord Phillips has acknowledged that the UKSC discharges ‘some of the functions of a constitutional court’, while in Parliament the suggestion has been made that the UKSC is becoming ‘increasingly robust’. Finally, the conception of the UKSC has to make provision for the future: there are judicial dicta by Lord Steyn and Baroness Hale in Jackson that the courts may claim an inherent power to strike down legislation or, at least, to render ineffective any Act of Parliament deemed to be ‘unconstitutional’. Whilst this may still be viewed as a hypothetical scenario, how widespread is the view amongst the senior judiciary that Parliament can with impunity violate the fundamental precepts of the rule of law? The precise constitutional status of the UKSC is difficult to encapsulate, but two traps need to be avoided. 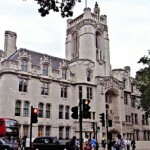 The UKSC does not have suprema potestas: the establishment of the UKSC will not usher in an age of ‘judicial supremacy’. But neither is it ‘a third chamber in perpetual session’: the passive-subservient conception of the United Kingdom’s apex court no longer reflects judicial attitudes, nor the status of the UKSC as an independent constitutional actor. In providing a focal point around which the judicial checking and balancing functions of the UK constitution might coalesce, the creation of the UKSC finally vindicates aspects of the French and American constitutional paradigm. However, instead of forming part of a revolutionary constitutional moment or explicit break with the past, the UKSC ushers in a more visible separation of powers by stealth. Alongside the traditional legislative-executive dualism, and skirting the extremes of constitutional subordination and superiority, the UKSC has emerged as an autonomous and co-equal agent of the constitution. Jack Straw and Lord Falconer slug it out over the Supreme Court here: http://wp.me/pfo1I-5H . Straw’s view is that it is “developing a social policy” and “legislating” on it. Falconer sees it as a bastion of civil liberties. Leave a reply on "Roger Masterman and Jo Murkens: What Kind of a Court is the UK Supreme Court?"